(50% saving) Only a few left! Only a few left! Only 1 left! Only 1 left! 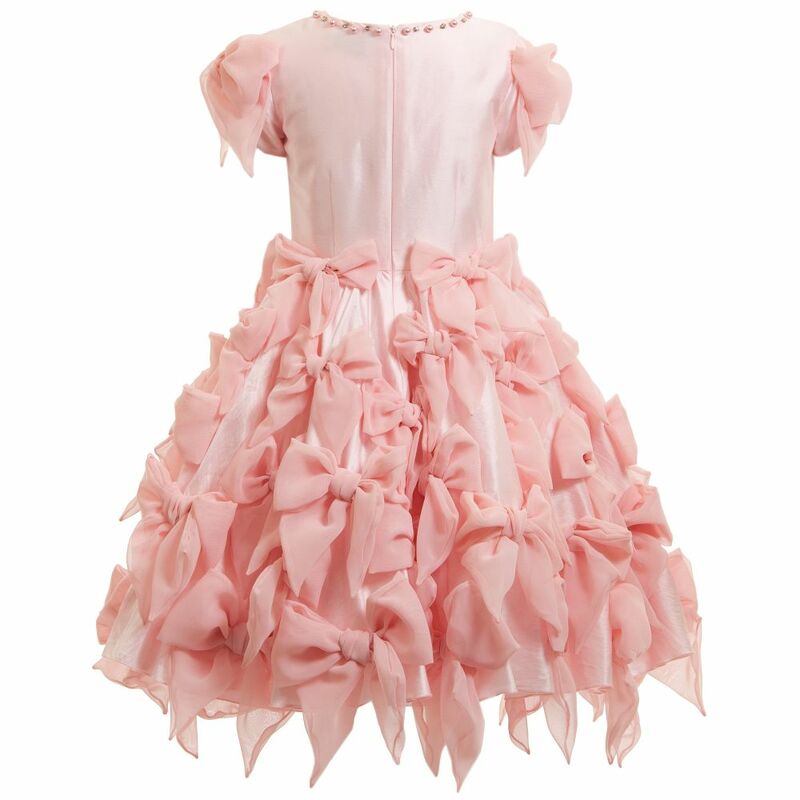 Pale pink bow dress by Lesy Luxury Flower. In celebration of the brand's 50th Anniversary, this fairytale design has a full and voluminous skirt, hand decorated with chiffon bows, with several layers of satin and tulle underskirts. 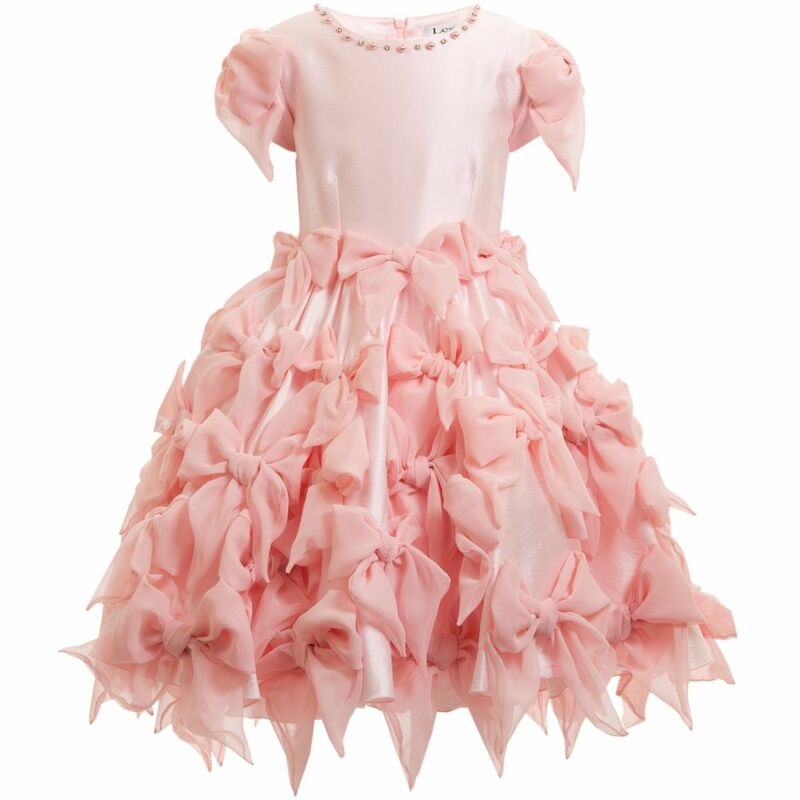 There is a pink cotton sateen fited bodice, with a round neckline embellished with diamante jewels and pearls. The capped sleeves have bows attached on the shoulders and there is a zip at the back for easy dressing.